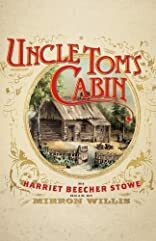 Uncle Tom's Cabin; or, Life Among the Lowly, (1852), by Harriet Beecher Stowe: the rev.James Sherman (21 February 1796 - 15 February 1862), was an English Congregationalist minister. Uncle Tom's Cabin (Special Edition - Illustrated with 89 Original Black and White Line Drawings): A slave narrative about Uncle Tom, a long-suffering black slave and his "Life Among the Lowly"
Uncle Tom's Cabin; or, Life Among the Lowly. Uncle Tom's Cabin or Life Among the Lowly. Large Paper Anniversary Edition Number 88 of but 250 copies. Uncle Tom's Cabin, by Harriet Beecher Stowe; with Italian notes, by John Millhouse. Uncle Tom is a high-minded, devoutly Christian black slave to a kind family, the Shelbys. Beset by financial difficulties, the Shelbys sell Tom to a slave trader. Young George Shelby promises to someday redeem him. The story relates Uncle Tom s trials, suffering, and religious fortitude. Uncle Tom s Cabin was revolutionary in 1852 for its passionate indictment of slavery and for its presentation of Tom, a man of humanity, as the first black hero in American fiction. It became an overnight sensation and was hailed by Tolstoy as one of the greatest productions of the human mind. It remains a shocking, controversial, and powerful work, exposing the attitudes of white nineteenth-century society toward slavery and documenting in heart-rending detail the tragic breakup of black families. About Harriet Beecher Stowe (Author) : Harriet Beecher Stowe is a published author of children's books. Some of the published credits of Harriet Beecher Stowe include Uncle Tom's Cabin, Queer Little Folks (Large Print). About Mirron Willis (Reader) : Mirron Willis is credited in children's books. Published credits of Mirron Willis include Brendan Buckley's Universe and Everything in It and Elijah of Buxton.